As a child, I remember saying, "Sticks and stones may break my bones but words will never hurt me." I was clearly too young to realize how false that statement is. As the years have gone by, I have come to realize that while broken bones can heal, broken spirits are considerably harder to fix. As members of the National Alliance on Mental Illness (NAMI), NAMI Alaska, NAMI Anchorage and NAMI Juneau, we are acutely aware of just how damaging words can be. We are in the middle of a mental illness epidemic. Studies show that nearly 20 percent to 25 percent of our population experience mental illness in their lifetime. The horrific number of U.S. veterans who take their own lives — 22 each day — is but the most vivid example of the unseen suffering our nation is undergoing. Words like "crazy," "insane" and "psycho" are used in the local media frequently. These words are not used to portray things in a positive light. Rather, they are used as adjectives to depict people or events — unrelated to actual mental illness — in a bad light. Despite the backlash over what some view as "political correctness," the reality is that words can be extremely damaging to the millions who suffer from mental illness, and to their families, friends and caretakers. Inappropriate use of these terms also erodes progress to improve our mental health system of care and treatment. We are not trying to censor anyone's free speech. It's about trying to show respect and compassion for people who must cope with an array of illnesses that cause chemical imbalances in the brain. Mental illness is not anyone's fault any more than is breast cancer or leukemia. Some people are born with their brains wired differently than most, and these people spend every day of their lives trying to figure out how to live in a world they don't always understand — and one that rarely seems to understand them. Others develop brain illnesses as they mature because of environmental causes. Sadly, trauma also can be a factor. Wars cause too many of our soldiers to come home from combat just to face the challenges of brain damage caused by post-traumatic stress disorder and other brain injuries. We only make it worse when we employ words like "crazy," "insane" and other mental health terms, for non-health issues. There are words that many of us routinely used at one time, that are no longer considered appropriate. As a nation, we have come to understand, for example, that a person with an intellectual disability is no more or less human than the rest of us and deserves to be treated with compassion and respect, not labeled with an ugly, pejorative term. We no longer use an array of awful, once-common terms for racial or ethnic groups, either, and this is a step forward. Our society can grow in understanding of how we should treat each other. People suffering from brain illnesses are often reluctant to seek help because of that one little word: "crazy." It has connotations unacceptable today. "Crazy" and "insane" are widely used to describe things we find hard to grasp. A headline in the newspaper recently, when candidate Donald Trump was reorganizing his campaign, carried the word "crazy" to characterize confusion in an organization. Another headline used the word "insane" to describe the challenges faced by medical professionals in the health care system when they deal with insurance companies. These uses had nothing to do with mental illness but, instead, carried strong negative connotations. Using those words stings. They marginalize, alienate and stigmatize the millions of people with serious mental health needs. Such negative characterizations can cause people to regress for fear of what our world thinks of them. As former Congress member Patrick Kennedy has said, "crazy" is never used with compassion. It only perpetuates the dangerous, "separate and unequal" treatment of people with mental illnesses. In fact, people with mental illnesses can live healthy and productive lives with the proper treatment and community support. Counseling and/or medication can help people in need live within the larger community without problems when their illness is properly diagnosed and treatment and support provided. Even then, many still do not gain insight of their illness until they relapse through more painful phases. We can do better as a society, and achieve better outcomes. Anyone who has a relative or friend who suffers from a brain illness knows that confusion and crises precede diagnosis and treatment. The confusion and crises, however, are made worse each time we use pejorative terms, particularly in public media. 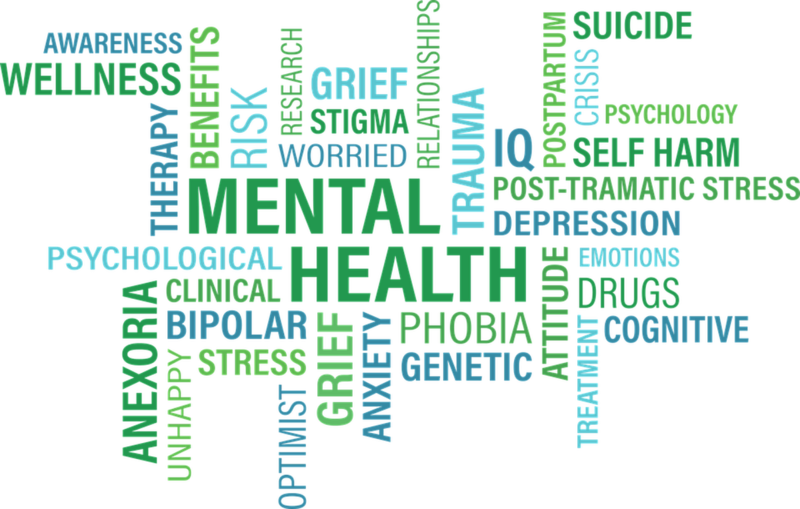 Media writers could simply follow the Associated Press Stylebook, which directs its writers, "Avoid using mental health terms to describe non-health issues." Alaskans are a caring and compassionate people. We know from personal experience how loving and supportive they can be. We truly believe that if we all become aware of just how painful and difficult the use of words like "crazy" and "insane" can be for people who are managing the challenges associated with their mental illness, they would stop using these words. It's time for Alaskans to set a higher standard for ourselves. In a state with one of the highest suicide rates in the nation, we need to be aware of how the use of certain words and phrases can demean – inadvertently – our friends and neighbors, and be harmful to some of the most vulnerable members of our society. Let's eliminate the casual use of mental health terms for non-health issues the same way we've eliminated other once-acceptable hurtful language. It's the right thing to do for our friends, neighbors, relatives and veterans who experience mental health challenges. Shirley J. Holloway is past president of the National Alliance on Mental Illness in Alaska and current vice president of the Anchorage chapter. John Hartle is current president of the alliance in Alaska and board member of the Juneau chapter. The views expressed here are the writers' and are not necessarily endorsed by Alaska Dispatch News, which welcomes a broad range of viewpoints. To submit a piece for consideration, email commentary@alaskadispatch.com. Send submissions shorter than 200 words to letters@alaskadispatch.com or click here to submit via any web browser.